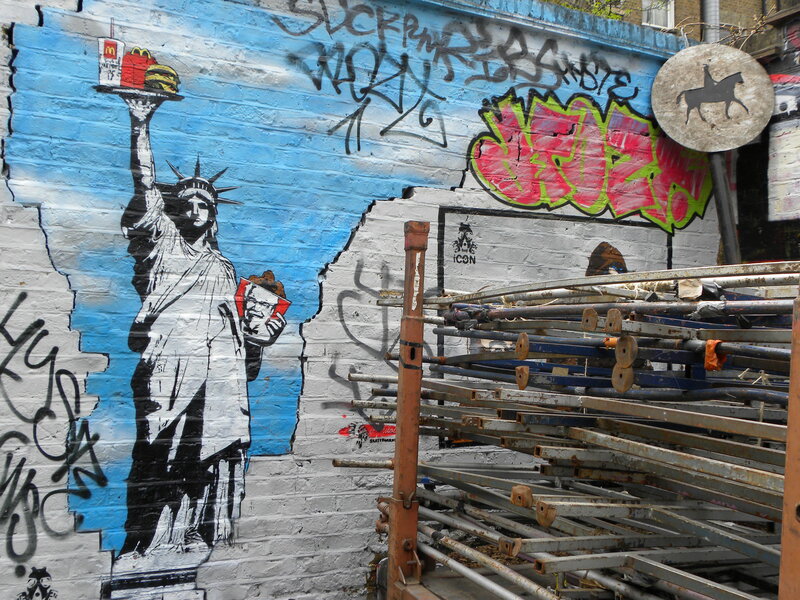 Beautiful, colorful graffiti found near Portobello Green Market. It really brightened up my day, so I hope it has the same effect on you. 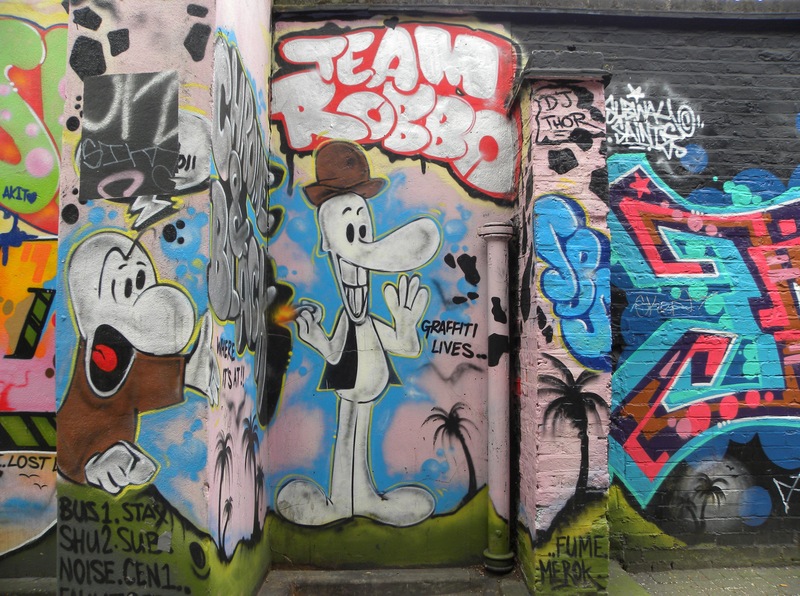 This entry was posted in Art, Culture, Inspiration, London and tagged Art, Culture, Graffiti, Graffiti Art London, Inspiration, London, Portobello, Portobello Green Market by linneabylinneanilsson. Bookmark the permalink. Anything of yours or have you stopped? Have seem some great graffiti in places. Always wondered how the artists managed to work in odd places such as alongside railways. It’s a modern artform that should be used more ‘officially’. 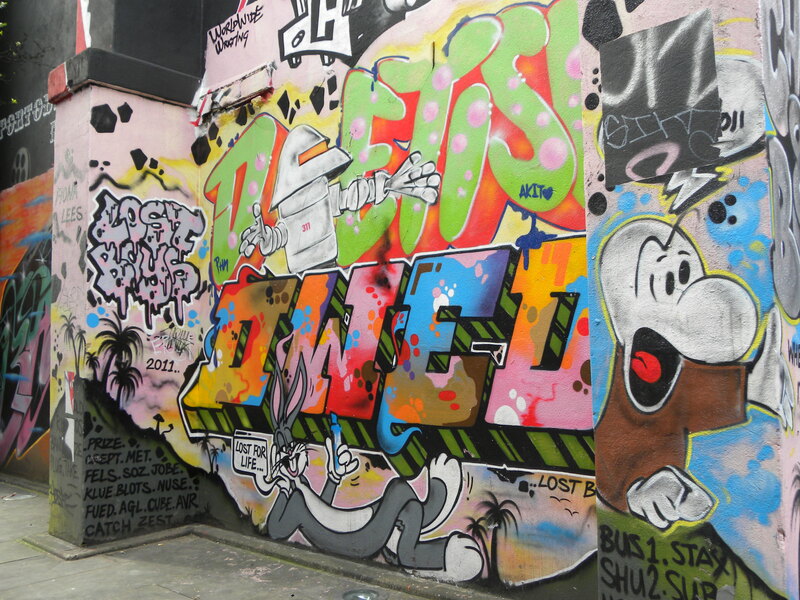 Perhaps you could use graffiti as a theme for some of your designer clothes. I’m always on the look out for ideas. I have tried it on silk back in the day, but unfortunately the dresses get overly expensive as I don’t have the status and can justify the price tag like a big fashion house. For the time being I’m all into art and a bit of jewellery design. I love the idea of being all over the place. Just a matter of convincing my investors.